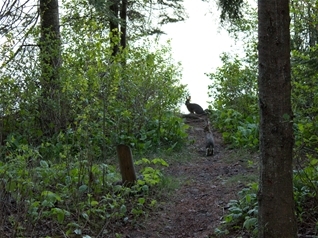 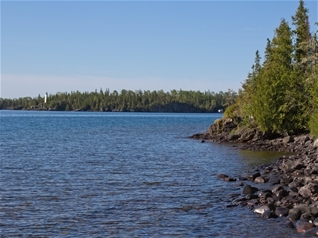 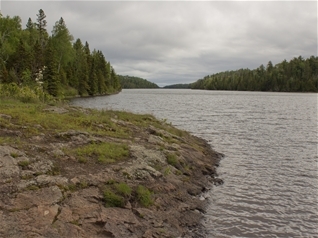 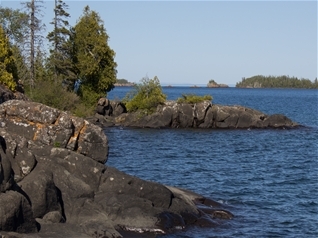 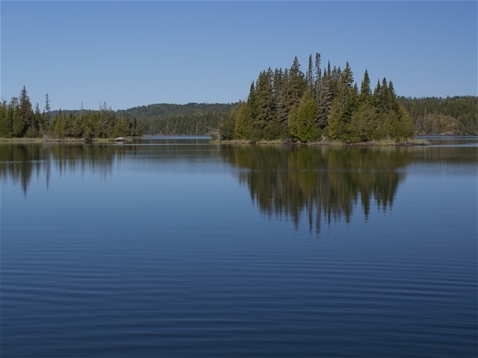 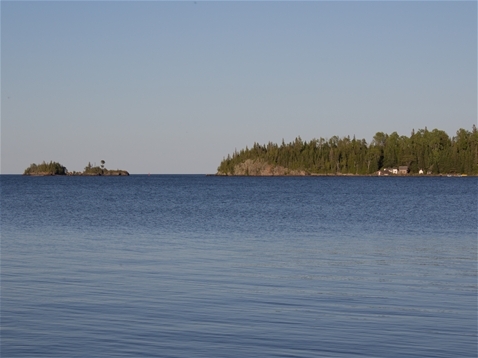 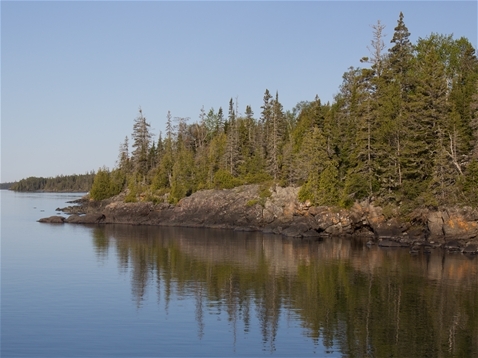 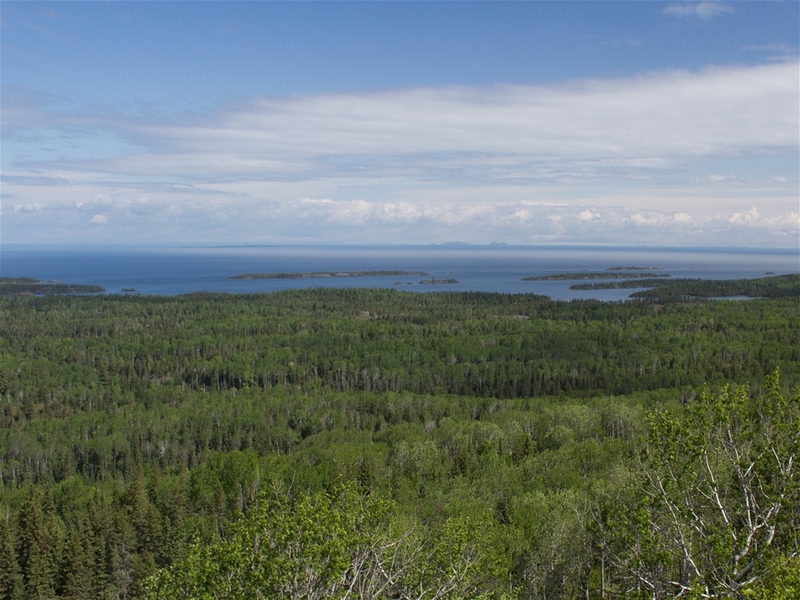 Isle Royale is a large, secluded island in Lake Superior, known for its almost unblemished wilderness. 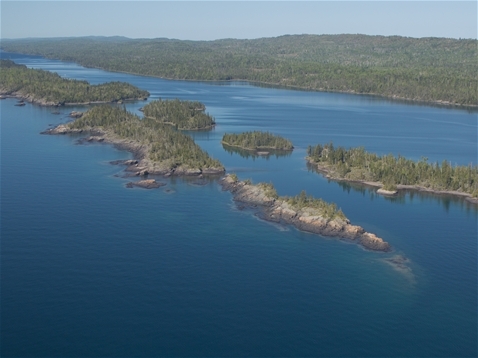 It's one of the least visited national parks, due to the fact that access is only via boat or seaplane. 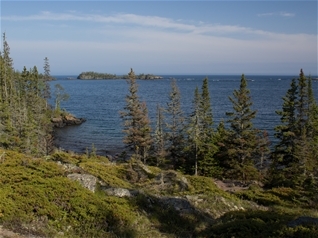 Once there, you can only explore it by hiking trails, canoes or boats. 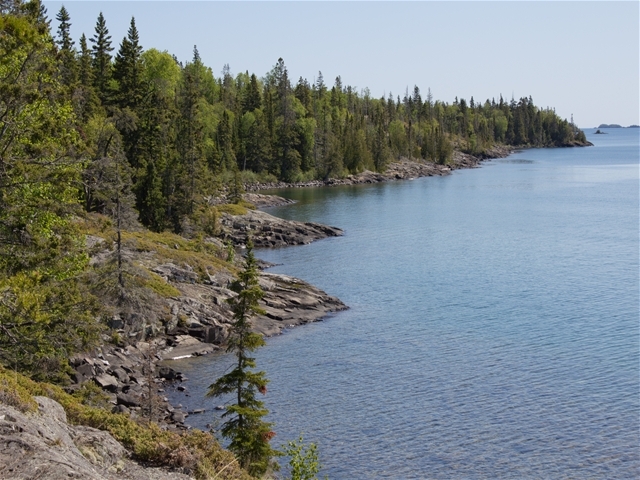 Isle Royale is indeed worth the effort, however, with its scenic vistas, plentiful wildlife and opportunity for a true wilderness experience. 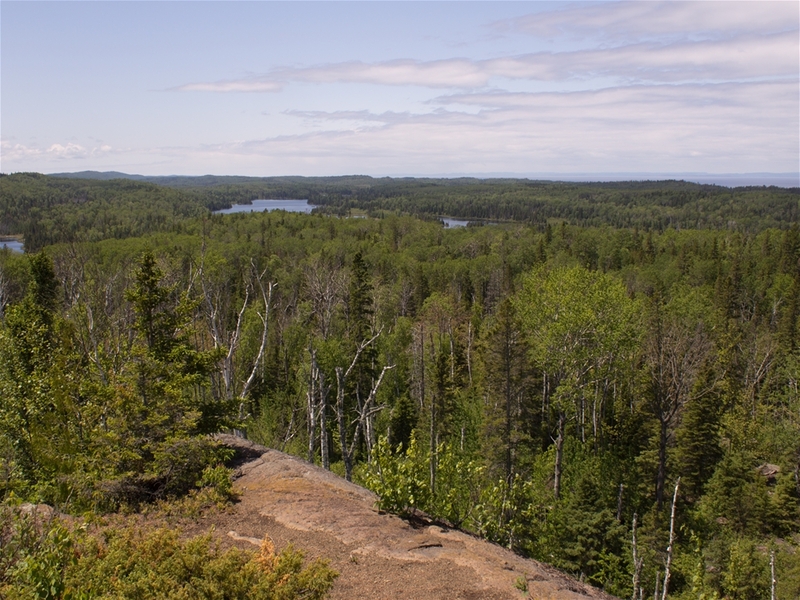 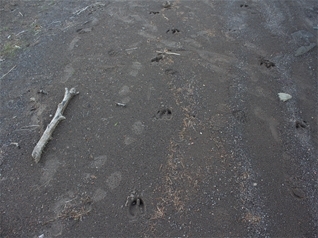 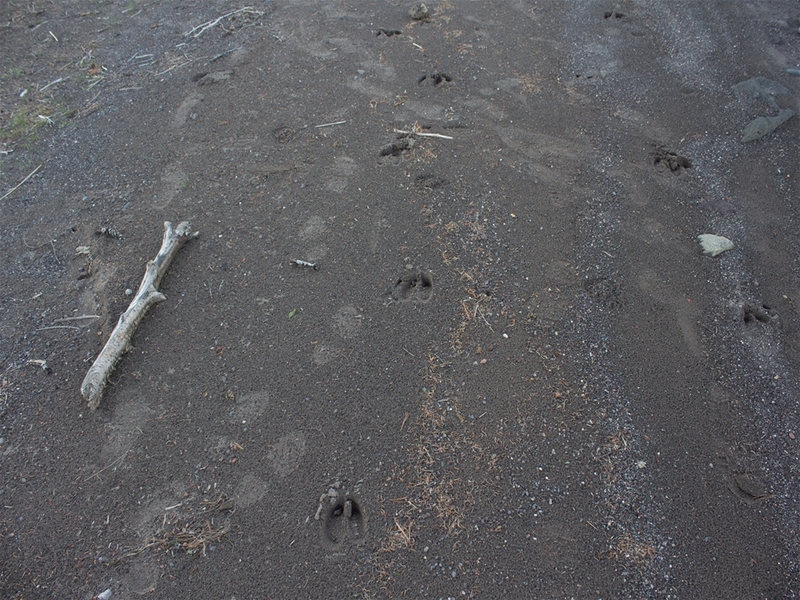 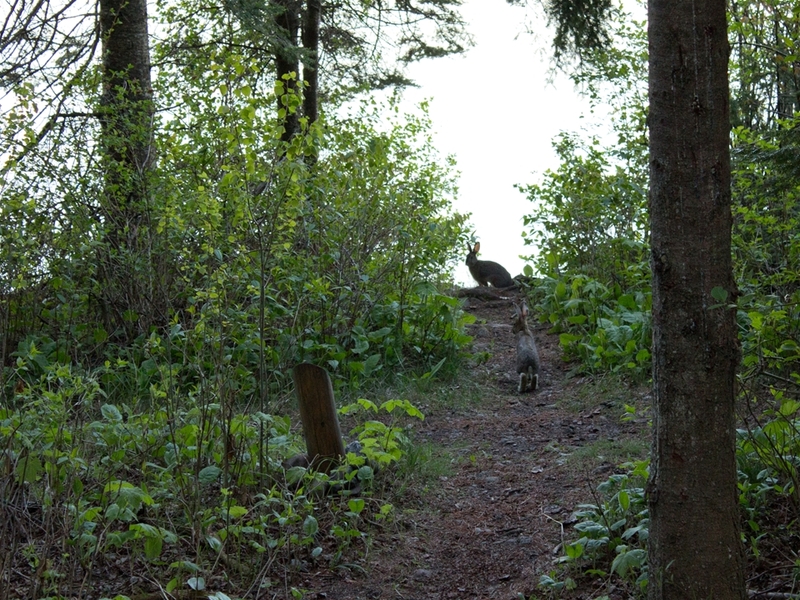 While on the hiking trails, I saw lots of wildlife (including a moose and calf), and often didn't see any other hikers for entire days.